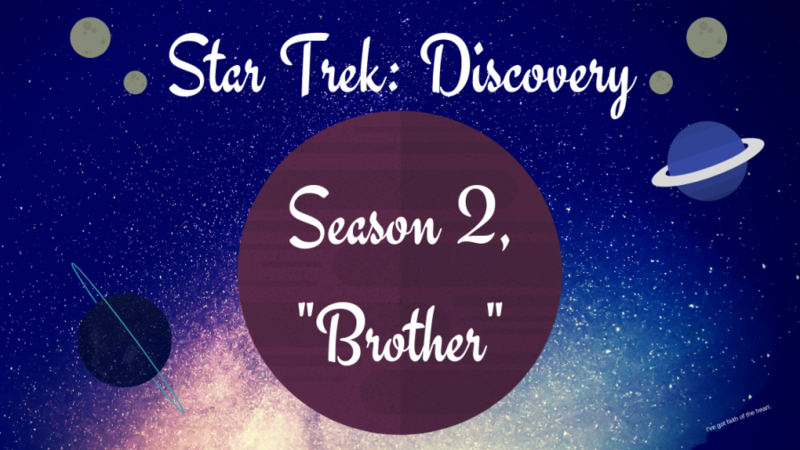 Season 2’s premiere episode “Brother” is, in many ways, a breath of fresh air. There is no war; there is no evil Mirror Universe to contend with, nor secrets behind the captain’s eyes. Discovery, NCC 1031, is, instead, flying smack dab into an adventure! 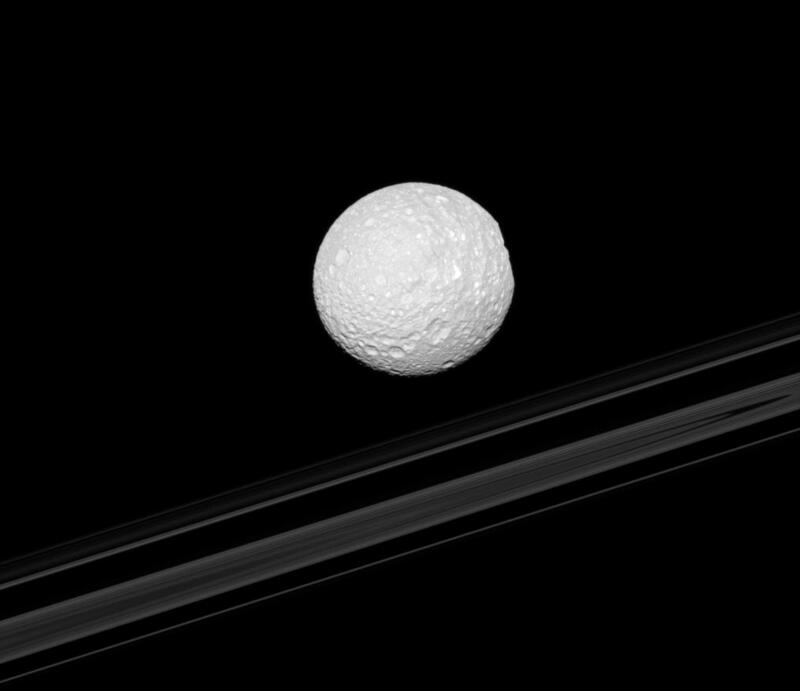 An image from the Cassini space probe, which spent 13 years orbiting Saturn. The episode immediately makes it clear that a major theme of this season will be how it plays with the notion of the past–the past as we as fans conceive it, and the pasts of our characters. Sonequa Martin-Green’s Michael Burnham talks about “Space, the final frontier” as we’re treated to a series of images from the real-life Cassini deep space probe. For Burnham personally, the past is painful, and full of regrets, and over the course of the episode she reflects again and again on how her relationship began with the boy who would become Mr. Spock. 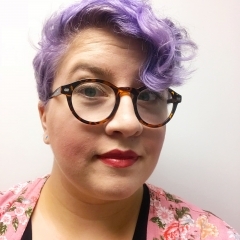 Burnham’s time on Vulcan, and her relationship with Spock, is neither totally painless nor without beauty; we don’t learn much in this episode, but we definitely gather that it is complicated, and may well take a whole season to dissect. This is especially interesting in contrast to Season 1, where Burnham’s entire arc was focused on how she, and those around her, reckoned with her mutiny, how it would change her, what she would learn. To see her move beyond her immediate redemption to more thorny issues of incidents between siblings feels like a serious growth for the character. Meanwhile, the crew are starting to blossom on their own. Tilly (Mary Wiseman), now fully in Command Training, is wrestling with responsibility; Stamets (Anthony Rapp) is wrestling with the ghost of his dead partner. 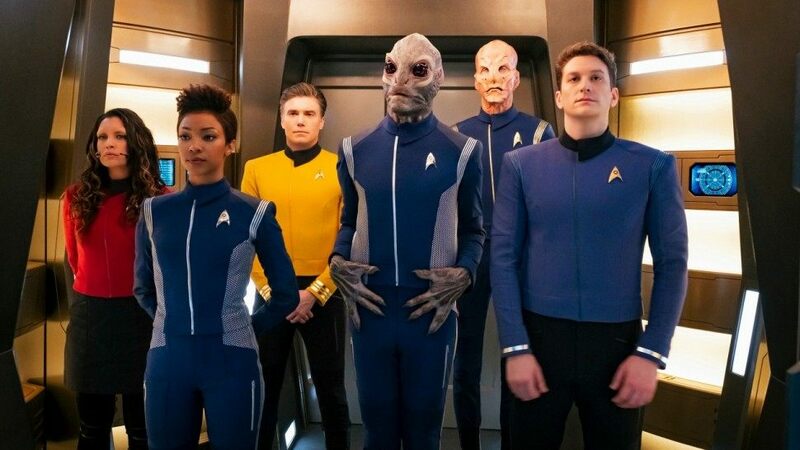 Saru (Doug Jones) and the bridge crew, meanwhile, are wrestling with the abrupt appearance of Captain Christopher Pike (Anson Mount). 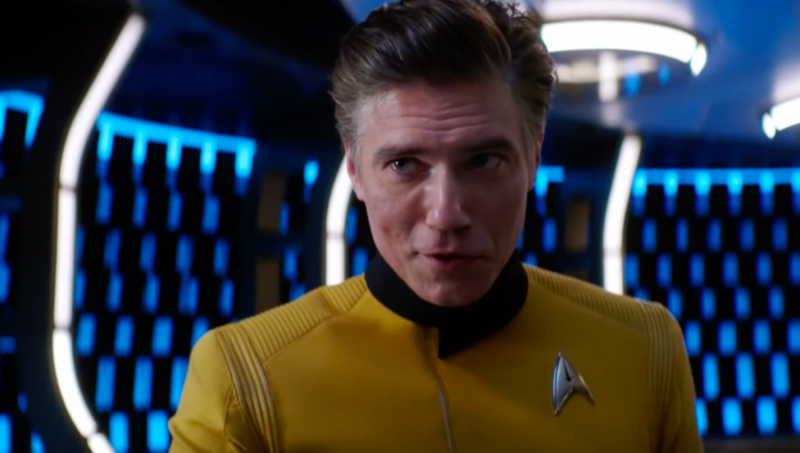 Anson Mount’s Christopher Pike deserves a special mention; he breathes new life into a character who has seen so little screentime, considering he was the star of Star Trek’s first pilot in 1965. Anson Mount clearly studied the performance of the original Pike, Jeffrey Hunter, but has deftly infused Pike with enough modern flavor that he feels neither totally old-fashioned or too new-new. He’s direct, awkward, funny, smart, noble, and so incredibly interesting and full-bodied as a character, something this show struggled with developing in the first season. The writing is behind a lot of this; just this episode gives a lot of hints that the writing staff has been able to put together a more unified vision for this season, and that the first season spent figuring out the characters has allowed the writers to more confidently take risks and let their actors play off each other better. Alex Kurtzman’s direction also lets the episode feel fresh, as he makes some unusual choices that allow the story to feel more real with just a few choices. There was a liberal use of CGI, but for the most part, it was for the better. Gone are the rapid cuts in action sequences, and hopefully, none of the other directors in this season will resurrect them, because actually being able to see and understand the action helps make it feel that much more immediate. While we can’t guarantee that season 2 won’t fall back into old habits, “Brother” shows that the creative team behind the show is actively working to improve the show, adding new strengths and removing old weaknesses. The episode is an incredibly promising start to the season, and I’ll be looking forward to what else the crew of the Discovery has in store.